For connoisseurs of the German guitar scene, the Siegen-born musician has long been a known entity, as an outstanding solo guitarist, as a band leader of his jazz formation “terminal A”, and as a sideman for various musicians and musical projects. Furthermore, he is also a highly-appreciated workshop instructor, for example, at the Jazz-Rock-Pop-Academy of Central Hesse and the Mediterranean Music School, and an excellent author of text books, and a columnist on the subject of “fingerstzyle jazz” for AKUSTIK GITARRE. Peter Autschbach, who completed his studies at the Cologne Conservatory of Music with distinction, has a broad musical vocabulary. 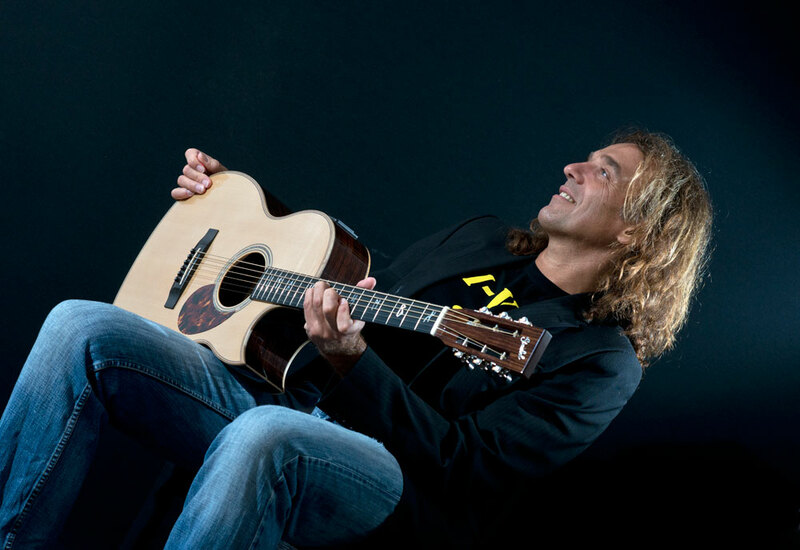 From the early influence of his private teacher Joe Pass, to his stages as a guitarist for Pete Townsend‘s rock opera “Tommy” and the Queen musical “We Will Rock You”, passing by all his own projects, Autschbach convinces listeners thanks to his deep-seated technique, his surefooted style and authentic sounds. In the studio as well, Peter Autschbach demonstrates a high level of professionalism and creativity when recording CDs and various types of instruction DVDs. This outstanding guitarist can be heard on seven solo albums – the latest being “Summer Breeze”, which earned kudos from the critics.